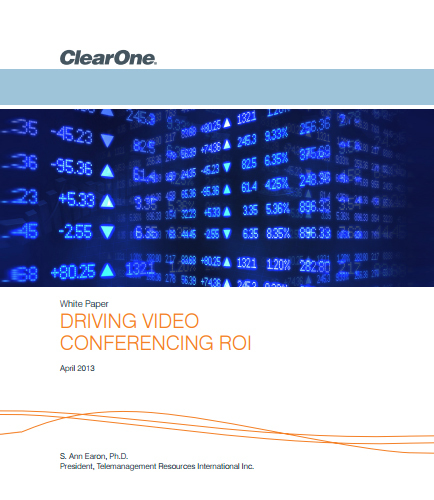 "Driving video conferencing ROI ( Return on Investment )"
Understanding the current state of video conferencing and focusing on return on investment can help organizations increase usage of the technology and better understand its benefits. The use of video conferencing has the potential of increasing productivity and efficiency by reducing unproductive travel time, preventing meeting delays, creating shorter & more structured meetings, and providing faster exchange of information. This whitepaper provides insights on how video conferencing is being viewed as a business necessity to drive adoption and optimize usage of equipment.